Firstly, thank you for the extraordinary response to Nikesh Shukla’s brilliant post on the subject of diversity in fiction last week and for the many thoughtful contributions (here and elsewhere) to a debate which people are clearly keen to have whether or not they agree with his ‘provocation’ to white writers – and some expressed valid reservations, I thought. We went to Cornwall for May half term. We weren’t very lucky with the weather. The rental cottage was on a clifftop, and there was a sharp ten minute descent down to the beach, which was covered with mist. We gave it a few hours, hoping it would clear, and in the end, having exhausted the delights of the cottage, we donned our wetsuits and walked down anyway. It was grey. It was cold. But there was sand in abundance and we had jumpers on over the wetsuits. Before many minutes had passed, the children were making sandcastles. No buckets and no spades and nowhere to buy any. No ice creams, no café. Just the sand, and the waves. I found a rock, got out my book and left them to it. I was reading I Saw a Man, by Owen Sheers. It’s an uncomfortable novel, dealing with death and loss and lies – not the kind of thing the term ‘beach read’ conjures up. But on this particular beach, surrounded by uncompromising cliffs, the grey sea stretched to the horizon and the salt wind fighting me for the pages, it was strangely appropriate. The only colour was the red of the children’s wetsuits, the only noise their screams and laughter as they challenged the sea with their sand creations. Why are they doing it? I asked myself. Why, when they know the sea is going to win, do they spend so much time building castles on the water’s edge? And why, when the construction they’ve made and decorated is destroyed, do they just start again, only pigeon steps from the ruins? And why, above all, are they laughing about it? And I thought back to a time in my writing past. My second novel had got me an agent; it was going to be ‘the one.’ It’s a good novel – I reread it recently. Who knows, when I’ve finished the one I’m writing now, I may go back to it. But the point is that I’d pushed through the writing of the first, weathered its rejections, written another and got my reward in the Holy Grail of agent representation. Out it went on submission, full of hope and promise. And back it came. Again and again and again. And again, until we agreed to leave it. I wrote a third…when that came back, the agent in question dropped me like a stone and was last heard of converting an old people’s home into a B&B in Shrewsbury. And I was back at square one, just like the children, shrieking over whether the next castle would last longer if they just built it higher and forgot about the moat. And I realized that, for the children, the constant destruction was not just part of their enjoyment. It was their enjoyment. The sand, the exercise, the orders barked against the wind and the crashing of the waves – what fun would there have been in creating the perfect castle without the certainty of its demise? It struck me that, when we write, we’re building with sand, desperately pulling our castles in the air onto the ground, never satisfied with the results. The sea doesn’t only wash away our efforts, but pounds at the feet of the craggy monoliths of the classics, too. Nothing is sacred, and it can seem as though the only certainties are the bitter wind and the sheer futility of the enterprise. But there are other certainties, if you change your perspective. Under the microscope, the sand becomes a kaleidoscope of precious stones, pearls, shells so tiny as to be jewellery for gnats. The very wave action that destroys our creations is the action that creates the sand in the first place. We cannot keep the landscape from shifting, but by playing in the sand, we become a part of it, however small an impression we might make. Thank you very much to Antonia for this uplifting and inspiring piece. If you have anything to share, regardless of where you’re at, all contributions are welcome. 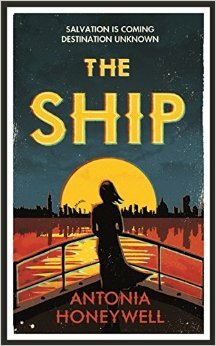 And if you haven’t yet read Antonia’s first novel The Ship, today’s post reflects the richness of writing, imagination and feeling you can expect. It impressed me and was one of my Hot Picks 2015. No post next week (I really wasn’t joking about those edits). On 9 July I’m delighted that Benjamin Johncock, debut author of The Last Pilot – one of my Summer Reads 2015 -will be joining me for a publication day Q&A session. His novel is absolutely stunning and I can tell you right now that it will be one of my top books of 2015. It’s a lovely and very thought-provoking post but I’m left wondering where The Ship fits in the chronology. Is this Antonia’s fourth novel (it seems that the three mentioned were unpublished)? And presumably she has a new agent for the Ship? I know I could Google all this but it would put the post in context. As a poet I find novelists’ perspectives interesting. Poets almost never have an agent and therefore no one to champion their writing but themselves. We know that we write mainly for other poets and if someone else reads it, that’s a bonus. I guess what I’m trying to say is that we’ve always known we do it for the words and because we have to write. We have far less chance of ‘making’ it than novelists – which puts added pressure on novelists because there are more of them and 1000s of them ‘make it’ (if that means publication). It’s also true that novelists don’t have magazines and journals in which at least some interested party could read their work. Aaaah, the writer’s life! Great post as usual. What a wonderfully inspiring post Antonia. And perfect timing for me as I prepare for a round of agent submissions, something that calls upon all my resilence…. I will keep that image of your children playing sandcastles, especially on those days when a rejection comes in. Thank you! What a beautiful piece of writing to describe the ups and downs of the writing journey which seems all too familiar to me. As you know Isobel, the third book I’ve written will be my debut. Book one went nowhere, book two got me an agent (who later dropped me) but not a publishing deal and book three is due to be published by a very small independent publisher. If it sinks without a trace I’ll still keep writing as that’s what writers do isn’t it? As Antonia so eloquently expressed it, we keep building the sandcastle no matter what the outcome. An excellent article and a timely reminder for me to ignore any temptation to write a novel and to keep writing short stories, at least for the time being! Perfect Timing! I have a lovely agent, patient, kind and encouraging. Just the right mix of sweet, but with a fantastic track record — she has faith and maybe that’s enough to keep us going. You have to keep counting your blessings in this game, otherwise you wouldn’t go back to start again and again, and again! As you might guess, my debut will not be my first novel written, but then it seems I’m in good company. Glad Antonia found solace on a grey day and she got her book out! Good for her! What a wonderful, evocative analogy. 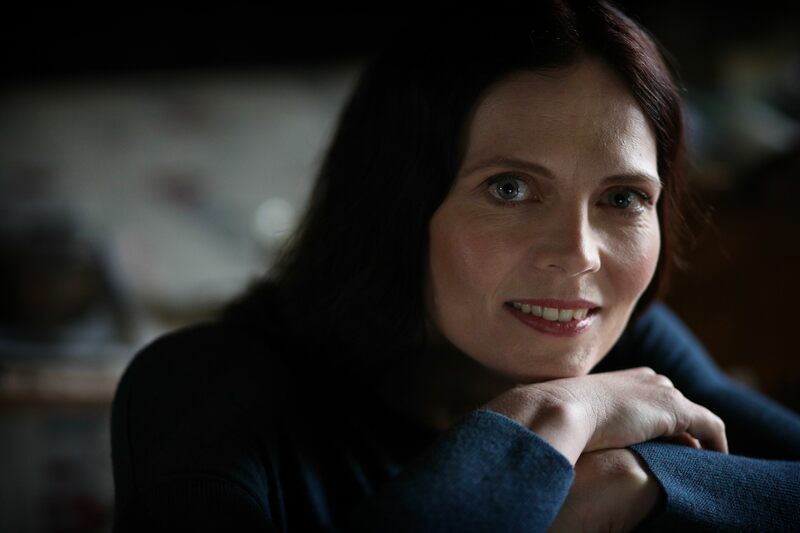 I am at the beginning of this journey, whacking the re-write of my first novel into shape, getting invaluable feedback from agents at workshops and festivals. Posts like this make me realise that all the little victories need to be celebrated. If I get some positive feedback, I try to enjoy how I feel in that moment, rather than start projecting what that might mean for the future. Because that future always has the tide lapping around its sandy foundations. Maybe the tide will creep back and leave my castle standing. Maybe it won’t. All I can do is enjoy building the castle. I can’t control the tide.